You’ll get lost finding LINO. We sure did. 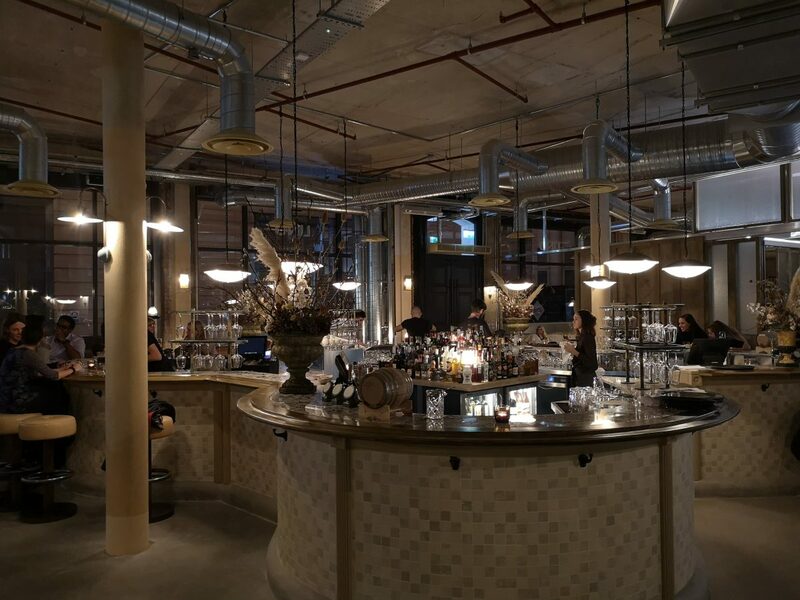 This new restaurant and bar is hidden round the back of Smithfield Market in an old Lino warehouse in a maze of new developments which aren’t quite finished. It’s worth finding though. It’s warehouse chic but there’s an authenticity about it. Taking up the centre of this huge, lofty space is a clover leaf-shaped bar. The music is quite loud. Tables are well spaced. The fun vibes are to set to max. We start by sharing some small plates. 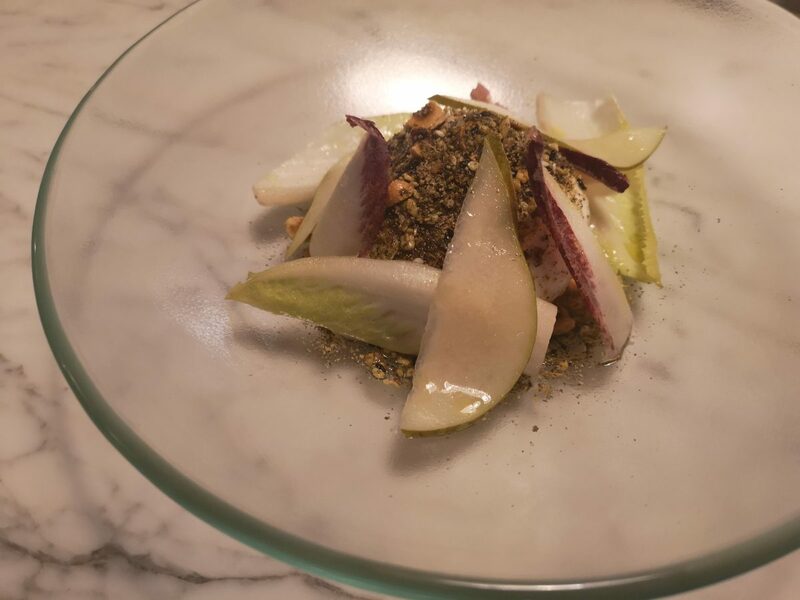 Burrata with hazelnut dukkah (£10) blends rich creaminess with sweet nuttiness perfectly. Bitter endive and sweet pear also marry well. 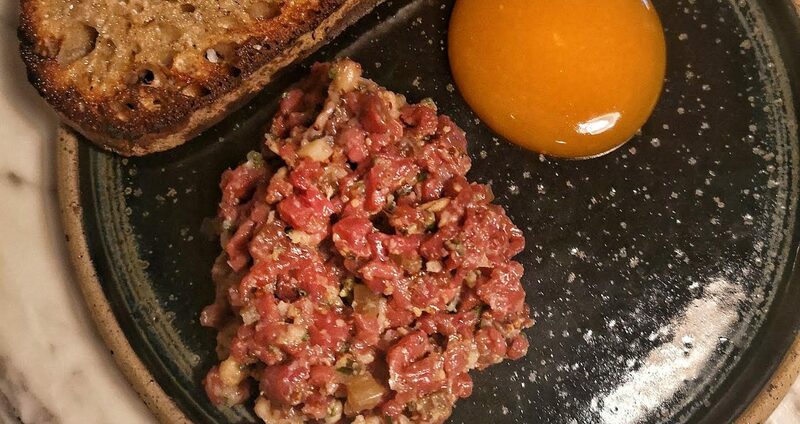 The aged beef tartare (£10) is one for Instagram. 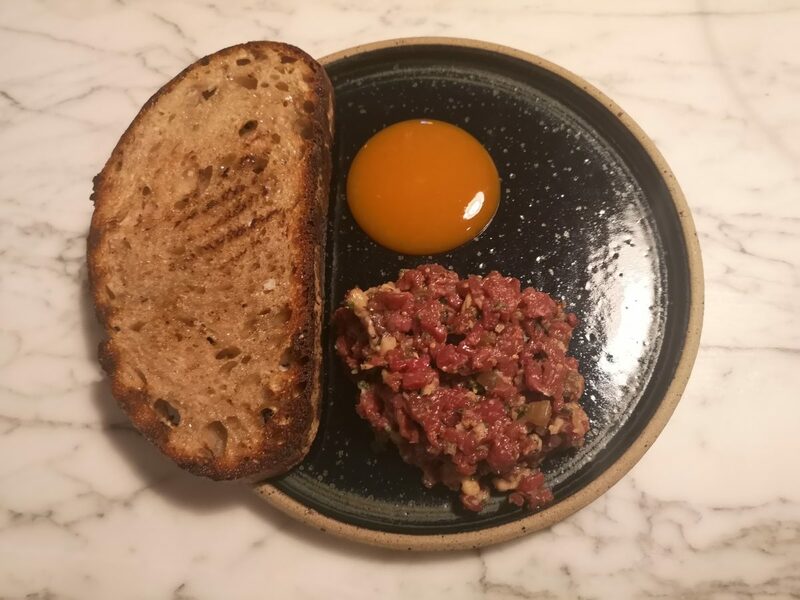 A big dollop of smoked egg yolk adds indulgence to the soft chunks of raw beef. 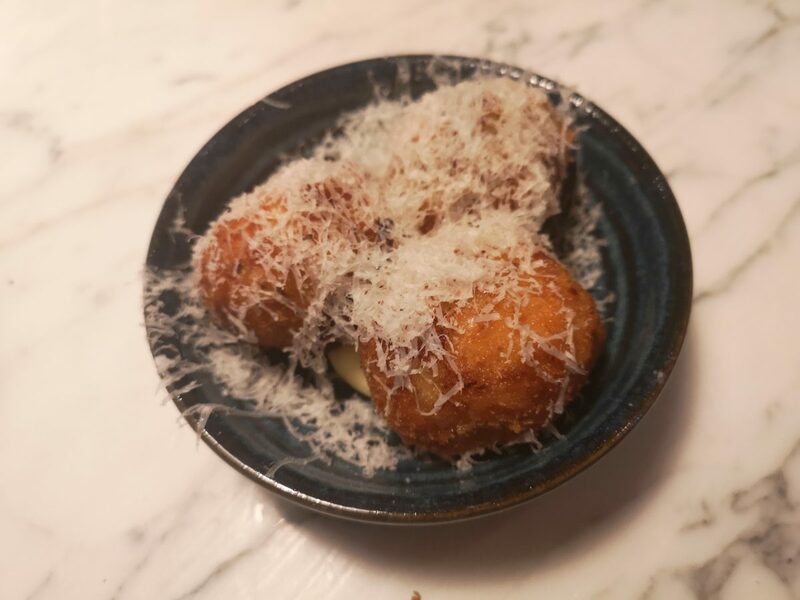 From the snacks menu, croquettes filled with sauerkraut and Cheddar cheese (£5) are a tangy delight. Perfectly matched with a barrel aged Negroni. The drinks at Lino are pretty special by the way. Blackface lamb (£24) has some serious fat. How they cook it so spot on I’ll never know. It’s crisp on the outside all the way through to a soft squishy centre. And then the lamb itself. My God, it’s so flavourful. 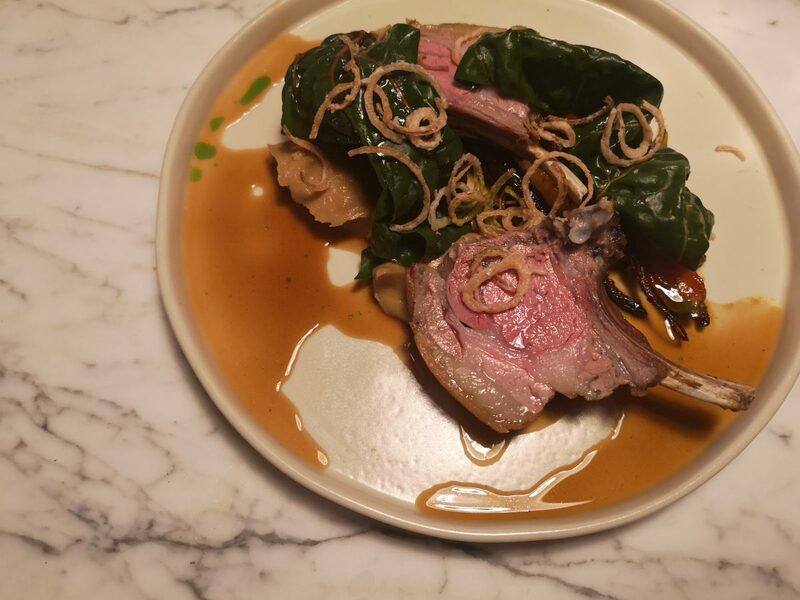 Simply served with carrots, crispy shallots and rainbow chard, it’s a perfect plate of food. Less successful is the Cornish pollock (£19). 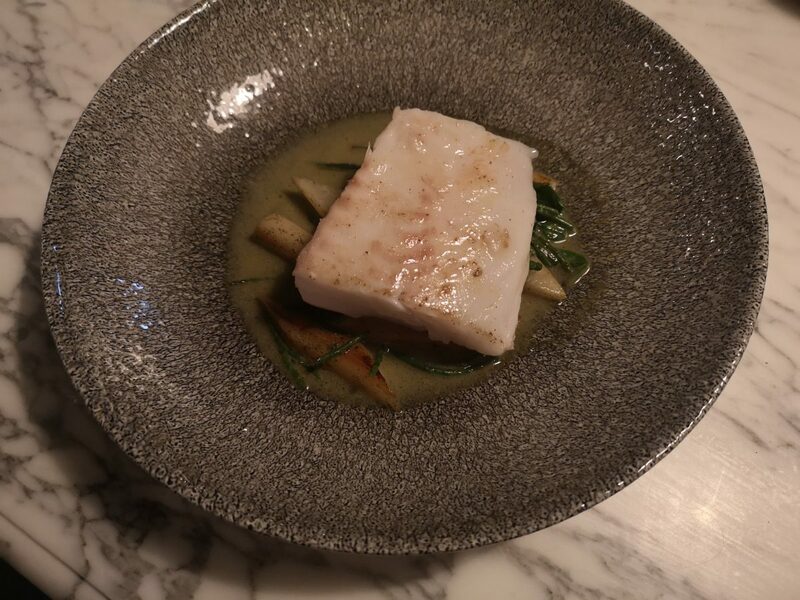 The accompanying poached salsify in seaweed butter is stunning but the fish has been water bathed making it both flavour, and texture,-less. Water bathing fish should be illegal, IMHO. 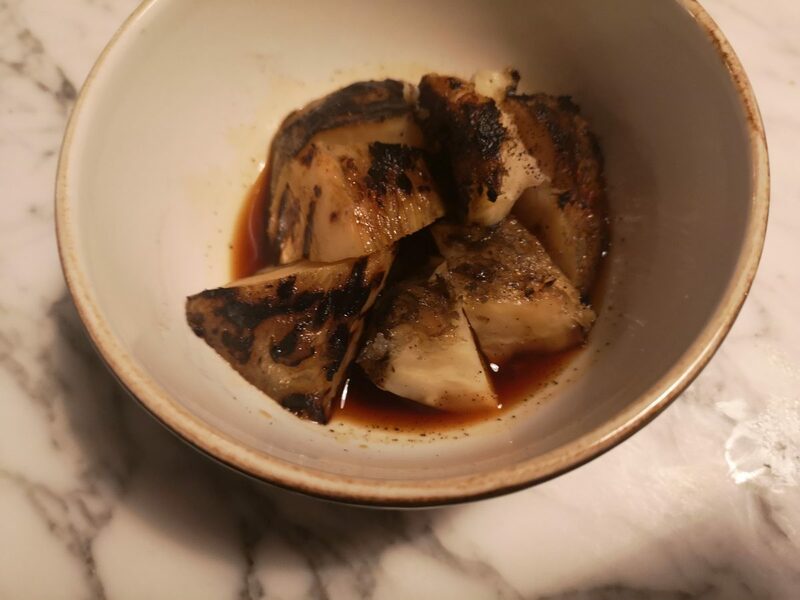 Chunks of salt baked celeriac (£4) arrive sitting in a ‘chicken sauce’ which tastes like the bottom of a Sunday roast baking tray. Salty and rich and fatty and LUSH. We skip pud, instead ordering Espresso Martinis which are humungous. It’s that kind of restaurant is LINO. Fun and lively. It makes you want to jump in an Uber and head to Soho for Tequila shots after your meal. Which we may, or may not have, done.